Trump based his belief that there was a gas attack in Syria on staged photos of dead children, and a viral video showing children being showered with water in a hospital following an alleged chemical attack. Two medics from the hospital who appeared in the video said that when they were treating patients for smoke inhalation, unidentified strangers shouted that the event was a chemical attack, spooking the patients. 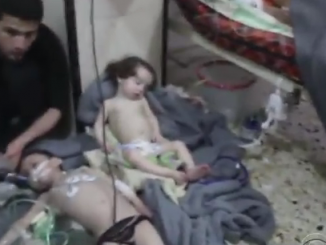 They say there were no chemical attack victims.